Many mountain side roads and railways are often at risk to rockfall and inhabited areas are often involved. Rockfall can be described as the quick bouncing, rolling and sliding movement of one (or several) boulders down a slope which can reach significant kinetic energy as it (they) travels. One consequence of climate change is the increasing risk of sliding or falling rocks. Rockfall protection and rockfall mitigation are key elements in the security and safety of infrastructure, mine works, buildings or people. Even small rockfalls, or debris flows can block infrastructure and can have far-reaching economic effects beyond the immediate disruption. This also applies to buildings or other installations at risk of damage from rockfalls, avalanches or debris flows. The need for protection against this phenomenon has led to the development and use of different types of technological solutions. We have the solution for every hazard from low to exceptionally high impact energy levels. These solutions can either prevent the blocks from breaking off the rock walls, thus reducing the frequency of the collapses, or control, intercept or deviate the blocks during their movement. Japan rockfall nets prevention can be used as relatively small-scale rock fall prevention measures. Rock fall prevention fences are capable of absorbing the energy of a rock fall by molding to the falling rocks on impact. 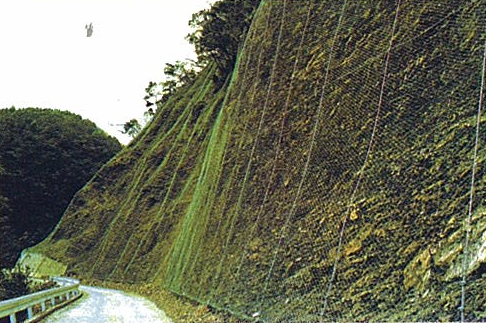 Japan rockfall nets are mesh nets which is used to prevent rocks from falling onto the road, railways and other structures. 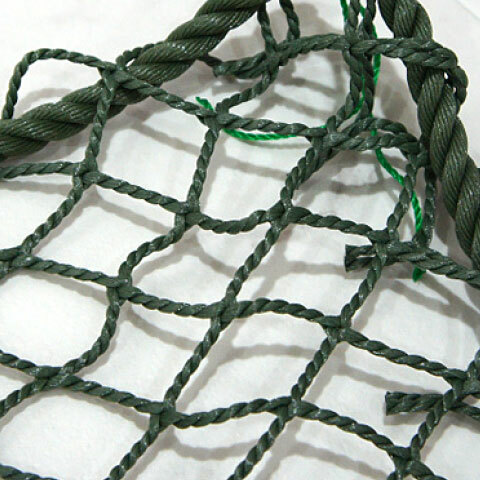 Due to the unravelling character of double twist, the mesh can withstand huge forces. Huaxing’s Japan Rockfall Nes are made of high tenacity synthetic diamond mesh designed to meet your most rigorous construction demands – and tested to meet or exceed ANSI A10.11-2010. The versatile and economical system is manufactured from nylon or polypropylene materials, which are UV stabilized. Rock mesh netting is anchored to the slope with rock anchors. The depth and capacity of the anchors are dependent on the rock type and the system design. Huaxing provides both the system design and implementation. Recent developments have made available the use of vegetative products to create a more natural visual appearance to the stabilized slope.